Why Install A Vapor Barrier In Your Crawl Space? The Killers Crawl Space Restoration has the expertise to handle your vapor barrier replacement in Portland. There are many benefits to replacing the vapor barrier in your home’s crawl space. The main and most important reason is that it creates a sealed blockade that keeps moisture from entering. This can save you from having unforeseen and expensive costs for repairs in the future. Another huge benefit to vapor barrier replacement in your Portland home’s crawl space is that it is energy efficient. Not only do vapor barriers prevent moisture from entering your crawl space, but they prevent air from entering as well. This keeps cold drafts from entering your home through vents in the winter and keeps your floors cool in the summer. In turn, this will likely save you money on your utility bill each month. 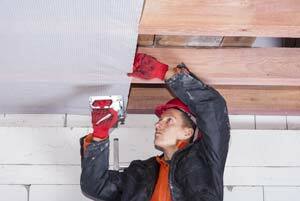 Installing a vapor barrier in your home’s crawl space can save you money in the long run. That is why you need a team of skilled technicians to complete your vapor barrier replacement in Portland. The Killers Crawl Space Restoration has many years of experience in vapor barrier replacement for homes in the Northwest. We pride ourselves on delivering the most comprehensive service to our clients. Our expertise includes every detail of crawl space ventilation and restoration. We know how to keep your crawl space healthy! Additionally, The Killers Crawl Space Restoration offers honest and competitive pricing. Our fully-stocked work vans have everything we might need to complete Portland vapor barrier replacements. That way we are able to complete a job quickly; no waiting for materials. You can count on us for a professional, affordable vapor barrier replacement. Call us today to learn more, we will be more than happy to help answer any questions regarding your home’s crawl space. We are your premiere vapor barrier replacement service in Portland!